Ahhh, the potluck party.... It’s the event where the most delicious dishes are invited to dinner, and you are the plus-one. This meal isn’t about complementary flavors and perfect presentation, it’s about eating all your favorites. But before you pull out that worn and smudged recipe card for your mother’s green bean casserole (yes, we know it’s yummy), take a gander at these dishes provided by local restaurateurs. While you’re at it, test your knowledge of Appalachian foodways, find a regionally brewed beer to suit your taste, and learn where you can find that perfect loaf of artisan bread to impress the crowd. it breathe for about 20 minutes before serving. Aglass of this red will hold up to the saltiness of the pancetta, but won’t overwhelm the artichokes. “Most people pair pinot noirs with turkey and dressing. This wine is light and fruit-forward like a pinot noir, but with more body and substance,” says Elspeth Brown, owner of Maggie B’s Wine & Specialty Store in Weaverville. 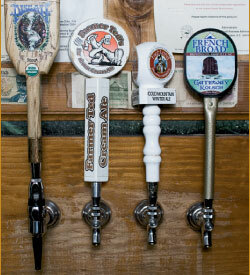 Navigating the microbrewing world is tricky. In a sea of German pilsners, unblended lambics, bottom-fermenting doppelbocks, bitters, and Belgians, the familiarity of a mass-produced beer can be a welcome fallback. While indulging in some boring suds isn’t a sin, Western North Carolina boasts too many expertly crafted pours (with easy-to-remember names) to excuse the macrobrews in your fridge. The kölsch strikes a perfect malty and hoppy balance. It’s simply a good beer with an excellent dry finish that makes Europe’s most popular pilsner taste like hard water. head would be a dead ringer for the Irish “Meal in a Glass,” but it’s got its own roasted personality and aesthetic appeal. After a few gulps, take a look at the near-perfect lacing on the glass. Catawba’s self-described ode to “the original settlers of Appalachia” is brewed with corn and free-range yeast, producing a golden-amber pour that’s refreshing, smooth, and rich without being too heavy. The medium-bodied brew’s sweet, rich, and dark malt with a touch of spice has made it an annually anticipated release for local beer geeks. It hits stores around Thanksgiving, and has sold out quickly in years past. So act fast. Are you a Western North Carolina foodie? Are you versed in native mushrooms? Well-acquainted with heirloom tomato varieties? Or do you think that heirloom refers to dusty old furniture and mushrooms come canned, and suspended in gelatinous cream sauce? Take our quiz to find out where you stand on the WNC foodie spectrum. 3. In terms of barbecue, Western North Carolina distinguishes itself from the eastern part of the state in what way? 4. Which of the following Asheville restaurants was featured on Rachael Ray’s $40 a Day show? 5. Chow-chow is a relish typically made out of what? 6. Hendersonville hosts a festival every Labor Day Weekend to celebrate the harvest of what? A. Corn. Every attendee gets a free ear. B. Apples. Festival-goers can tour orchards and sample apple recipes. C. Rocky Mountain Oysters. Many people storm away in disgust when they realize what a mountain oyster really is, so festival attendance is sparse. 7. Which of the following is NOT a type of tomato grown in Western North Carolina? Have you ever eaten a Rocky Mountain Oyster? 7-9 points: You know your stuff! You can navigate the farmer’s markets with confidence—you probably know the difference between a morel and a chicken of the woods mushroom. 4-6 points: You could use some work. You know that there are different kinds of mushrooms, but you suspect that chicken of the woods is something akin to Chicken of the Sea. 1-3 points: Yikes! You think the only chicken worth eating comes in a 10-piece bucket. Separating two dozen eggs for a bowl of nog is mighty tricky. And figgy flambé pudding? Sure, that might happen. Truth is, many classic holiday goodies are too difficult or time-consuming to make from scratch. Luckily, a crusty Christmas loaf can easily be crossed off the to-do list thanks to WNC’s multitude of artisan bakeries. 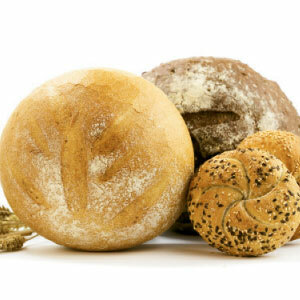 Bracken offers preservative-free loaves baked European-style in a steam oven. House favorites include Greek olive flatbread, classic baguettes, and country French. Urbanites homesick for a good, stout rye need look no further than Carolina Mountain Bakery, which specializes in several varieties of this sandwich classic. “Of all our breads, it’s our overall best seller,” confirms owner/baker Aaron Wiener. Having risen in two locations and now offering more than 15 types of hearth-baked bread, City Bakery/Café is Asheville’s multigrain mainstay. Head baker Jesse Bardyn uses a smaller-than-usual amount of yeast in his loaves, letting them bloom to fruition as slowly and naturally as possible. Tucked in rugged Madison County, Farm and Sparrow is a proudly old-fashioned operation that uses a wood-fired oven. Loaves bear such pioneer-chic names as Country Log and Heirloom Grit. Available at local tailgate markets and natural food groceries. This Henderson County hot spot is a mecca for tourists and locals alike. Return visitors come for the “good, crusty artisan loaves, which we make daily in small batches,” says owner David Workman. The bakery uses all organic flours. A family-run Madison County microbakery, Loaf Child wholesales its products, including baguettes and their best-selling 10-Grain Sandwich Loaf, to Good Stuff in downtown Marshall, Greenlife Grocery in Asheville, and at seasonal tailgate markets. Running a low-impact operation is crucial to owners Darci and Dimitri DeWulf. They buy organic flour milled in-state, and their loaves are minimally packaged (with recycled-paper labels). Co-owner Carson Coatney’s passion for bread led him to found Stick Boy, a family operation located in this High Country college town. Twenty varieties are available on a rotating schedule. 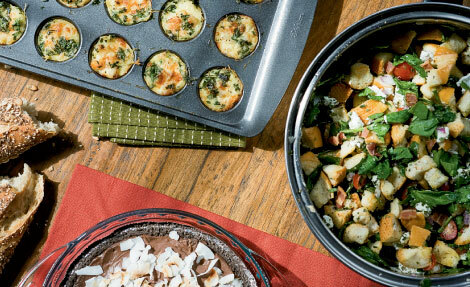 Don’t miss such inspired flavors as Shaker Squash and Spinach Feta French. Boutique bread is the high point of this well-appointed Weaverville eatery. Well-Bred is best known for its homemade challah (offered in no less than five varieties) and focaccia. Call ahead, because they go fast. According to pastry chef Meghan Tucker, West End Bakery’s “number-one difference is that we’re the only bakery in Buncombe County that uses organic flour in our bread.” That star commodity is batch-ground at a mill in Linville.